News Segment (2018 - Episode 3) from Press Play Productions on Vimeo. LULING, La. – Press Play Productions’ 3rd newscast of 2018 begin airing on Friday, March 16th. It’s viewable here, on Vimeo and on Cox Cable Channel 8 each night at 7 pm. 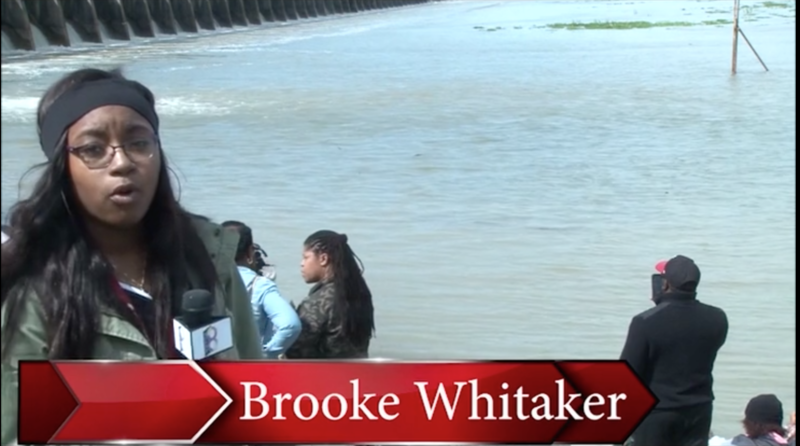 In this edition, our news team consisting of Brooke Whitaker, Asia Hill, Kaycee Joseph and MoKaeja Mitchell covered the Bonnet Carre’ Spillway opening, Sleep-in-a-Box hosted at Hahnville High School, preparations for the Bridge Run and Bike United, a program aimed at teaching 3rd graders about bike safety. The newscast also included a weather forecast by Jyia Joseph who presented a three-day breakdown in addition to river levels for the Mississippi River. The sports team of Brandon Thomas, Jarel Leblanc, Larry Davis and Chris Brand previewed the HHS Track and Field season, interviewed one of the Tigers’ top sprinters (Alexis Williams) one-on-one, provided highlights DHS softball’s thrashing of West Jefferson and counted down the Top 10 plays of the year (so far).